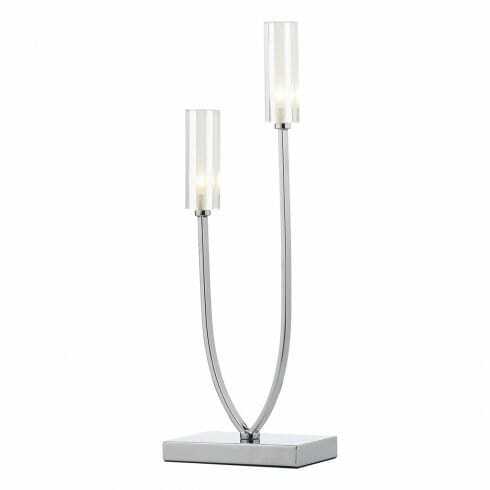 Dar Lighting Advent 2 light table lamp features a rectangular design base plate with 2 elegant stems all in polished chrome finish holding 2 clear glass rectangular shades with frosted inners. The product code for this Dar table lamp is ADV4250. The straight lines of the this attractive table lamp creates a modern touch and is a perfect lighting solution for contemporary decors. The Advent range includes a matching 6 light flush ceiling fitting which can be ordered on our website.